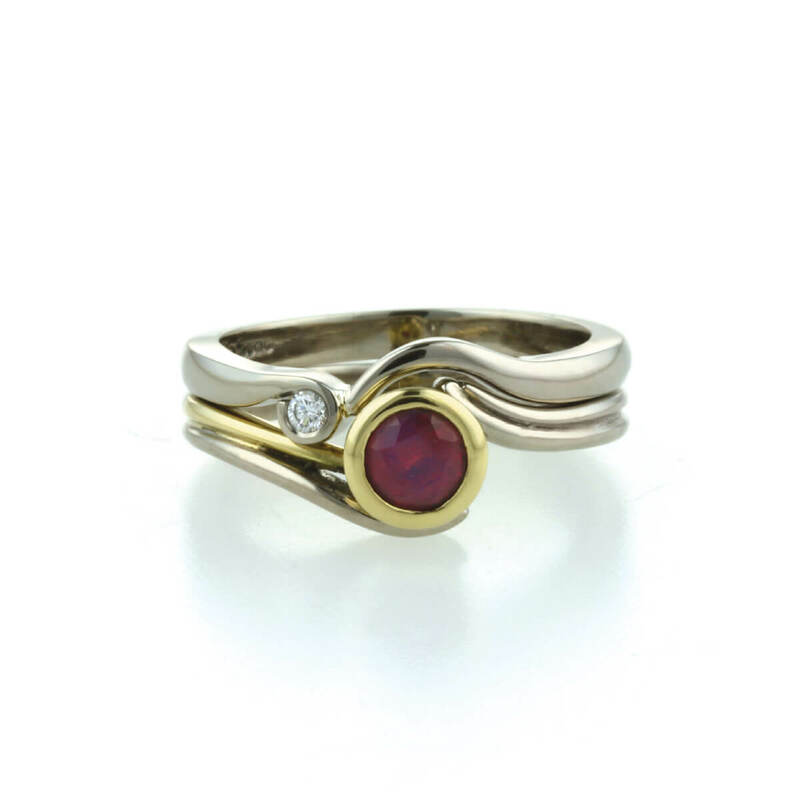 These two handmade rings; an 18ct yellow and white gold engagement ring set with a ruby, and an 18ct white gold wedding ring set with a diamond were inspired by jungle vines. 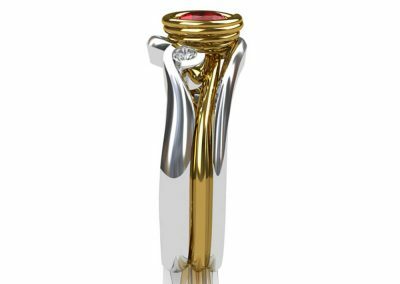 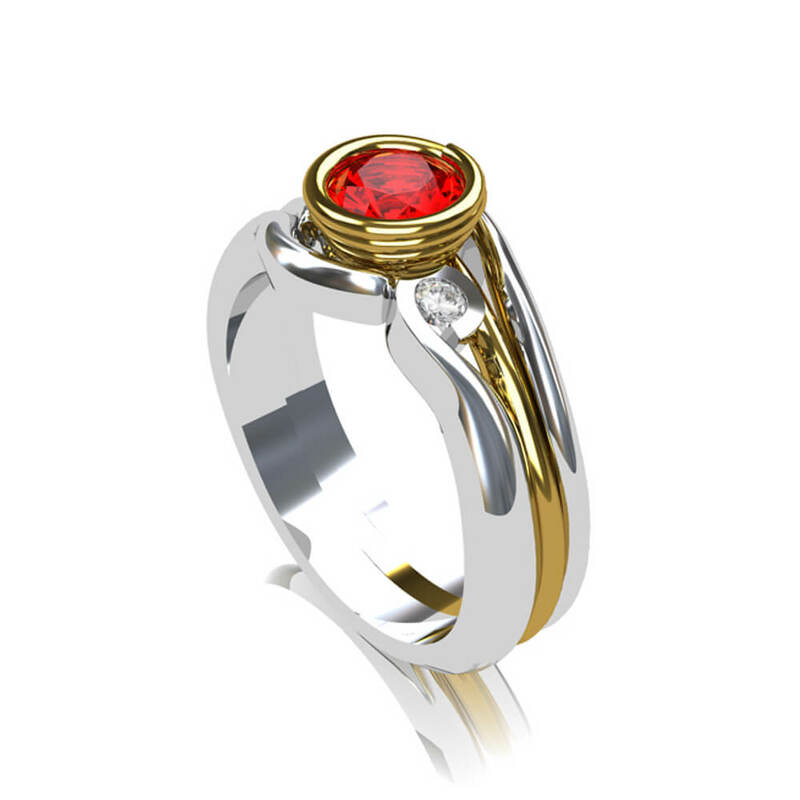 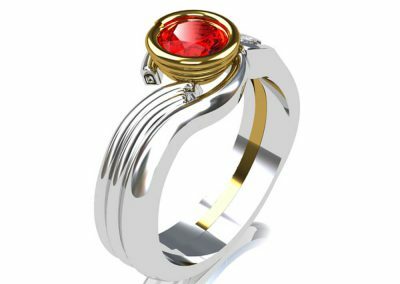 The initial request to design an engagement ring to be handmade with the inspiration of jungle vines wrapping around and holding the ruby was an unusual one, and a complete joy to design and make. 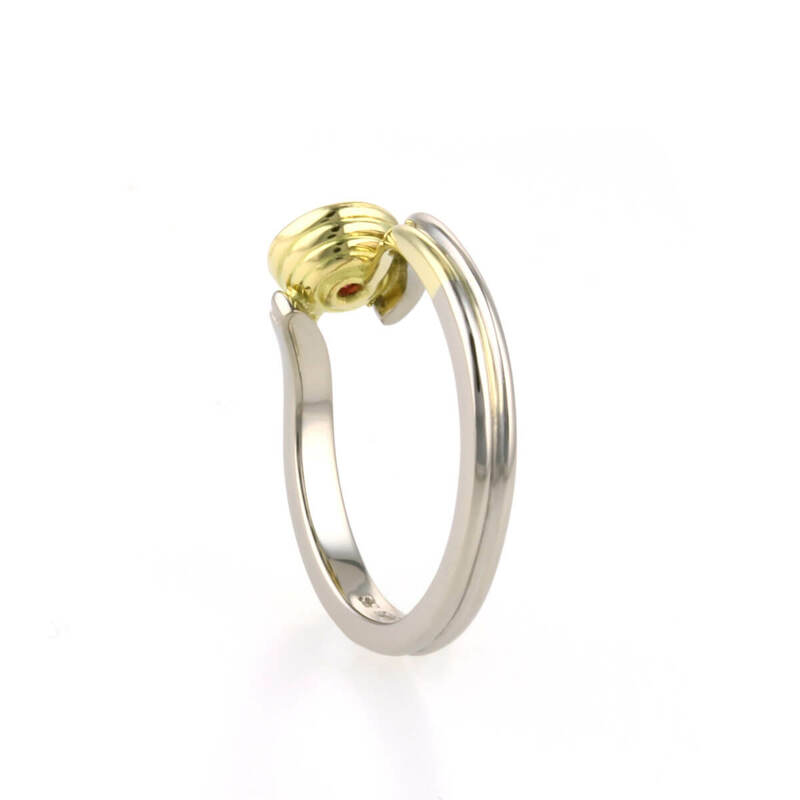 With the use of 2 colours of gold we were able to design a ring that was unique yet simple and timeless. 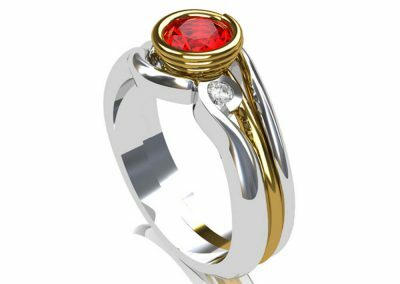 Taking the same jungle vine theme a wedding ring was commissioned to complete the suite of bridal jewellery with the ring gently sweeping around the engagement ring and a small diamond. 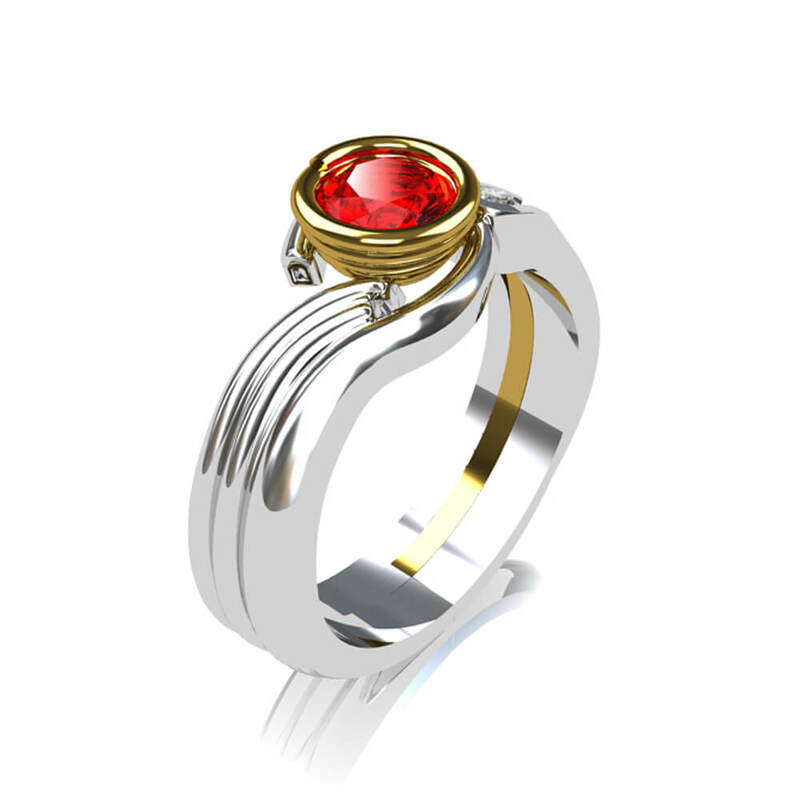 Each ring was designed using CAD/CAM. 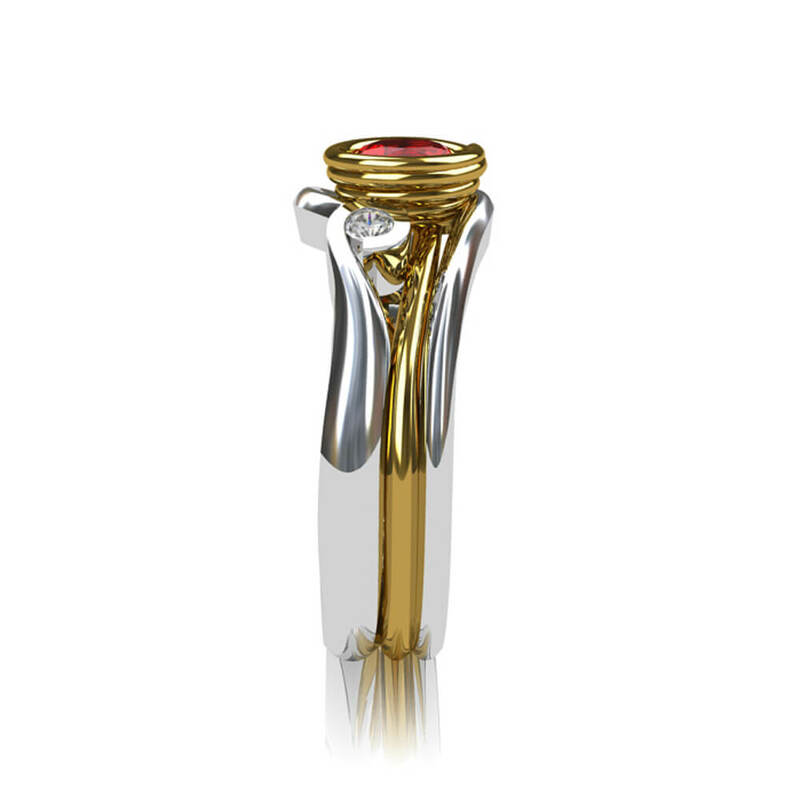 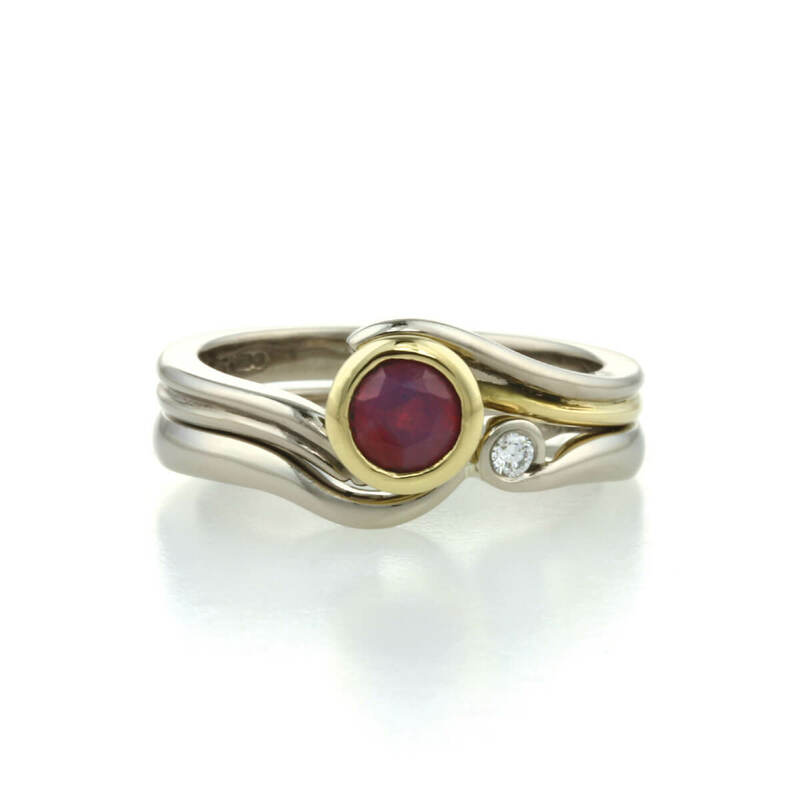 The delicate coil setting around the ruby was the most delicate area to file, emery and polish without destroying the detail. 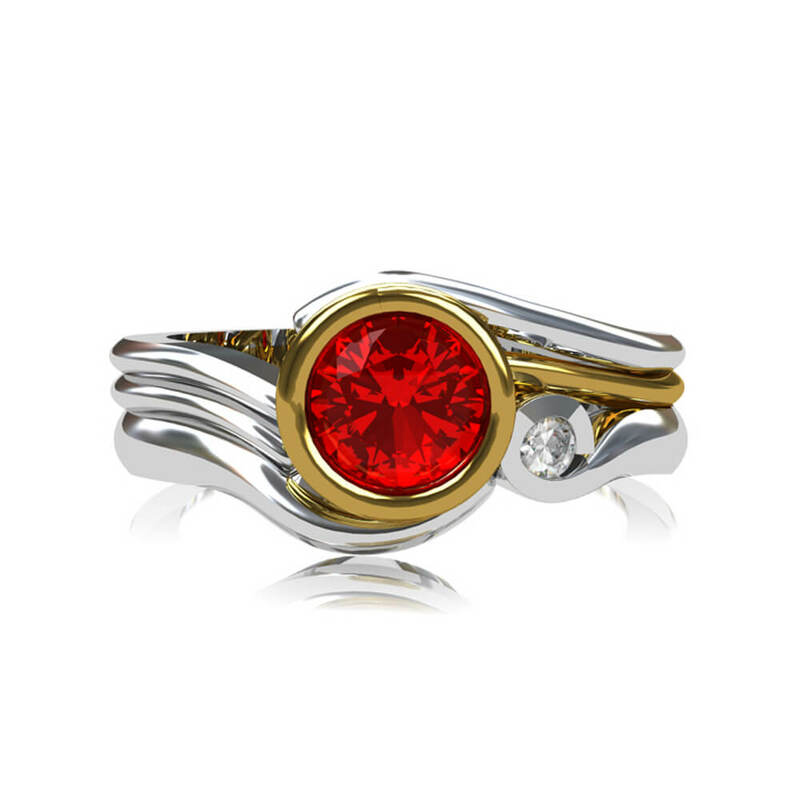 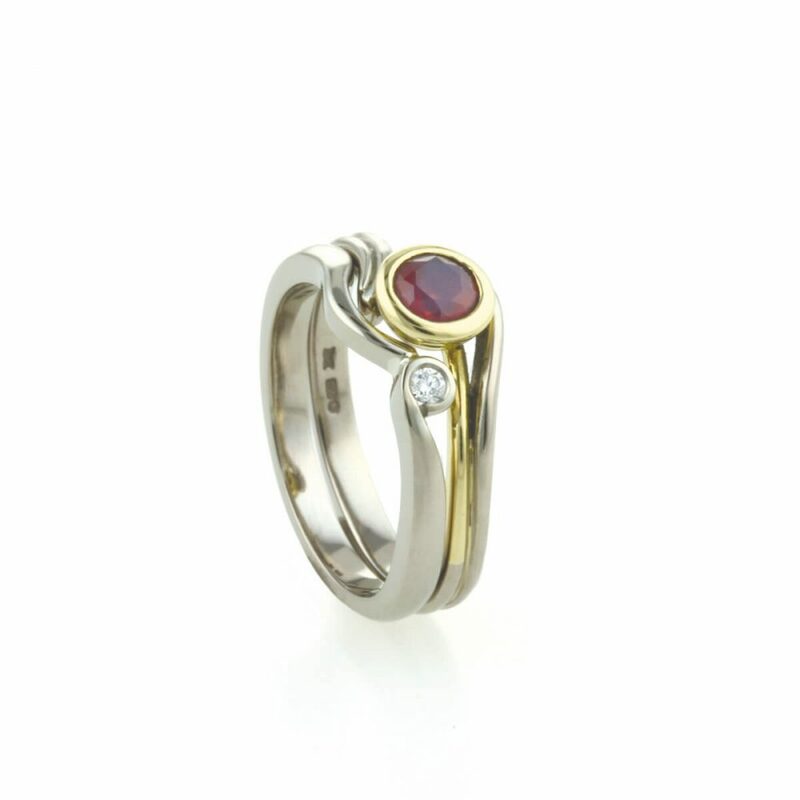 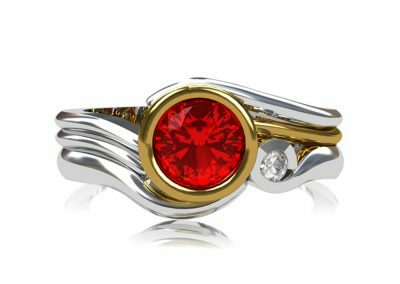 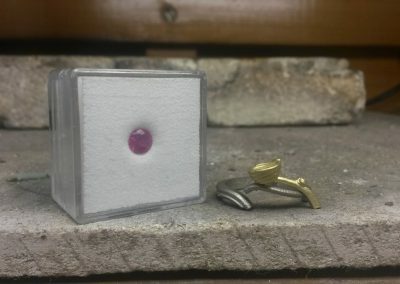 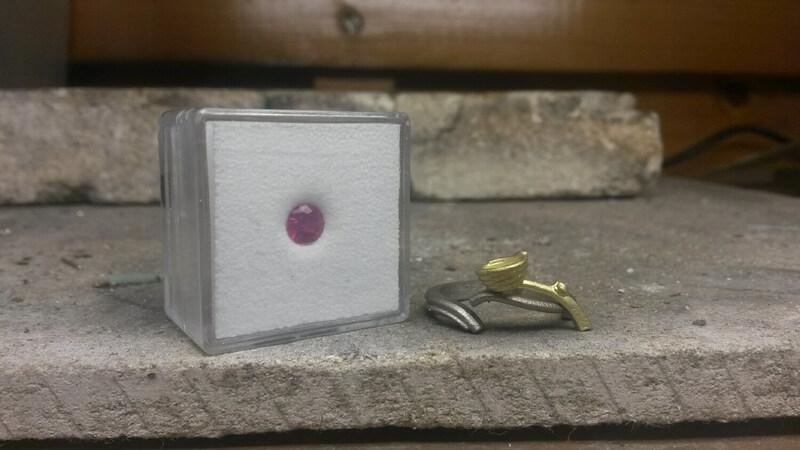 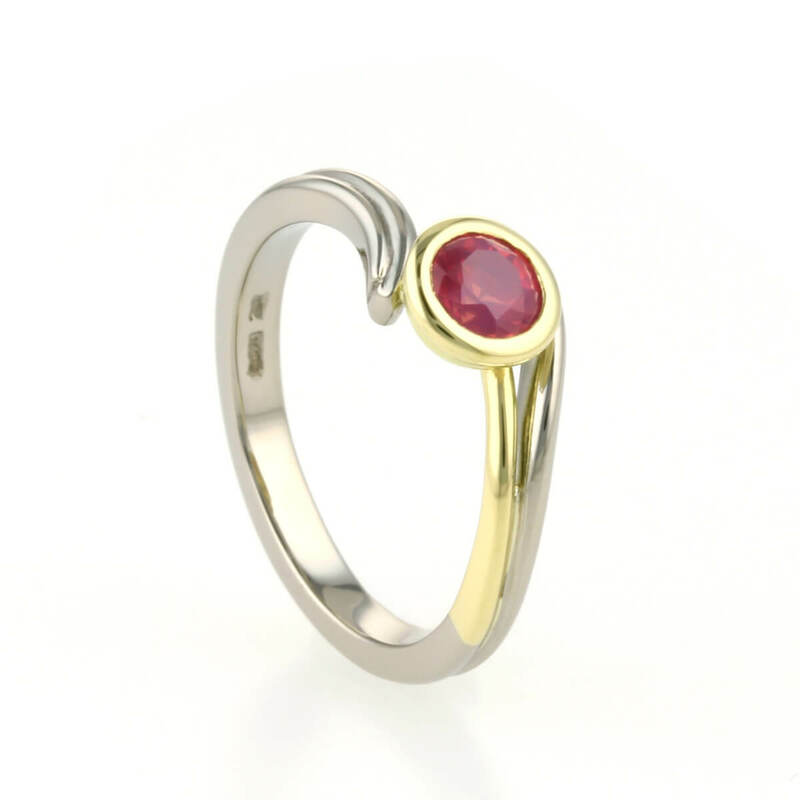 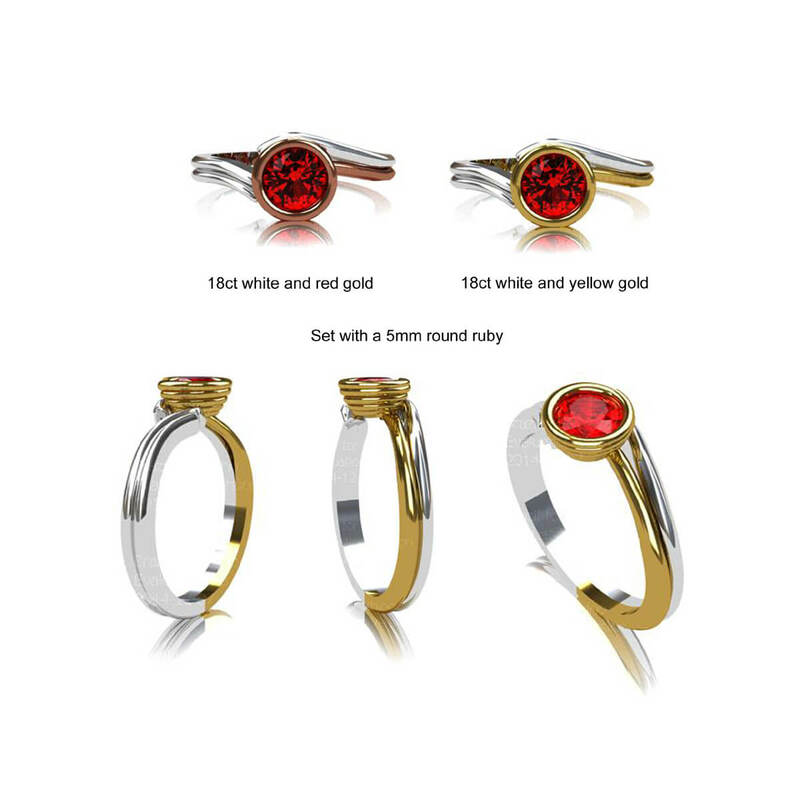 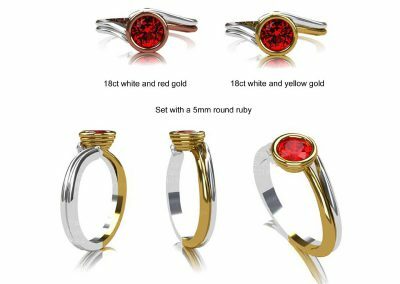 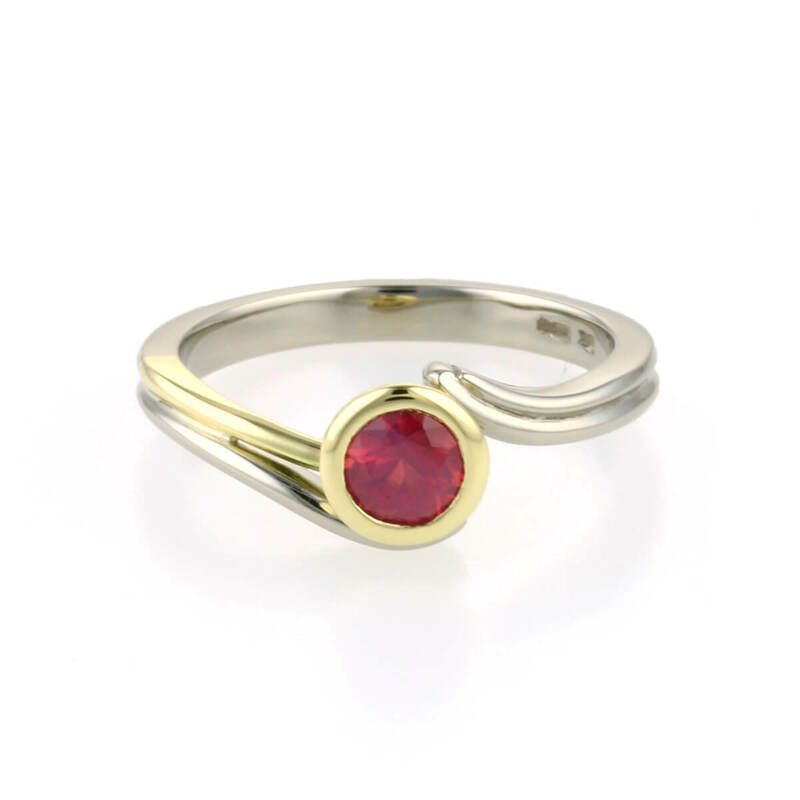 Once each piece had been cast, cleaned up, polished and soldered together the rings were hallmarked, and the ruby and diamond set in place using rub over settings. 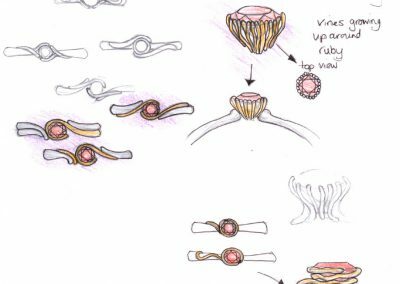 Initial sketches exploring ideas around jungle vines. 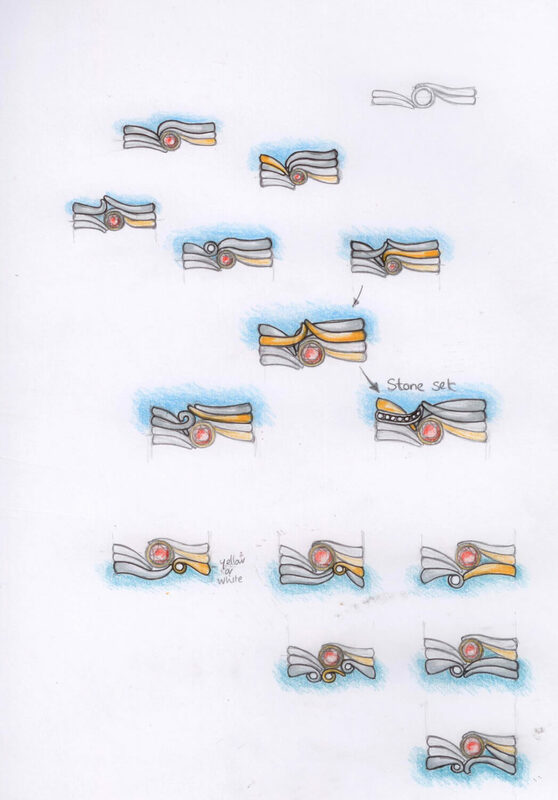 CAD designs showing the options. 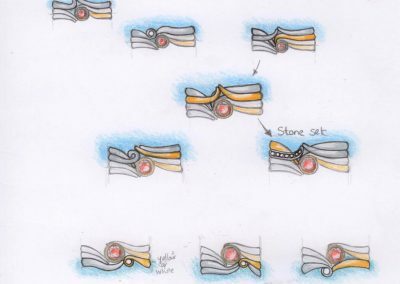 Each section is cast and is ready to assemble together. 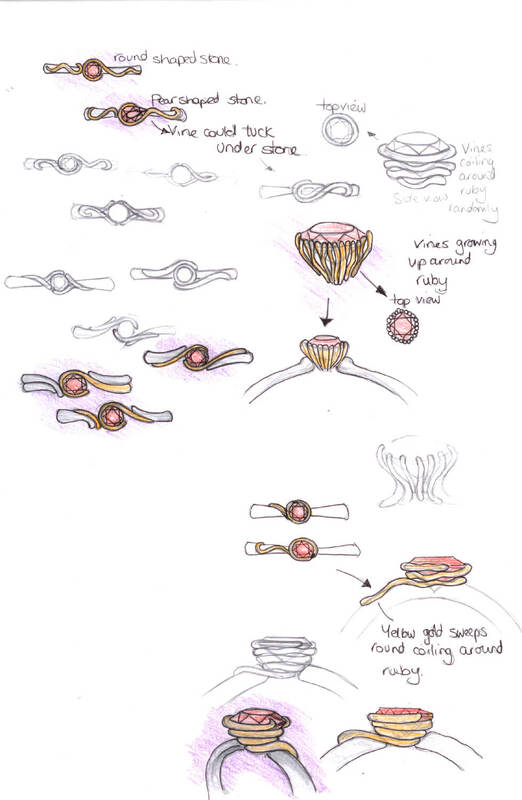 Sketches for the wedding ring to flow around the engagement ring.